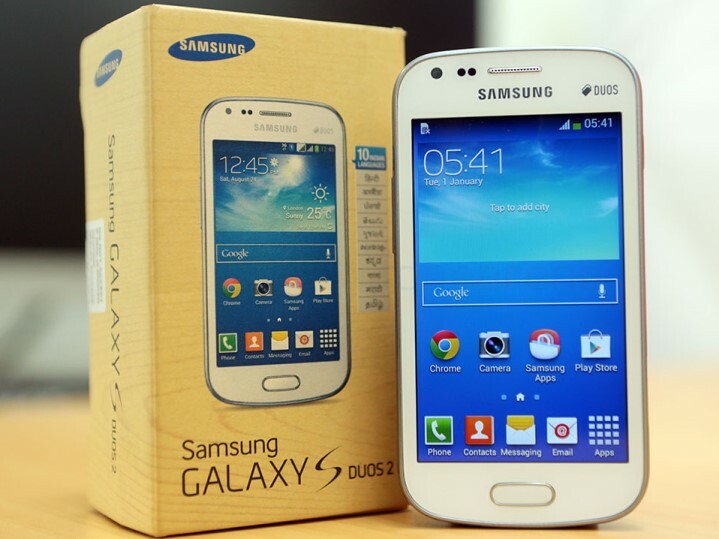 Samsung unveiled Galaxy S Duos 2 last December but it takes two long months for them to ship the phone in Bangladesh. May be original Galaxy S Duos and Core are selling too well in this country so that Samsung don’t want to disrupt the sells! First Galaxy S Duos was I high success for Samsung in the emerging markets like India and Bangladesh. So I am sure that they are hoping the same again. Samsung Galaxy S Duos 2 has many minor upgrades over its predecessor. You can check out my personal finding about Galaxy S Duos 2 in this review. Starting with it has a dual-core 1.2GHz CPU with same amount of 768MB RAM and 4GB internal memory. As always microSD card slot is there to give you opportunity to have 64GB od data in less cost. It runs on Android Jelly Bean 4.2 which is not bad. The screen is 4.0 inches with 480 X 800 pixels. And as always there is no shortage of Connectivity options in a Samsung phone but don't expect OTG support here. Galaxy S Duos 2 has a 5MP shooter capable of delivering not bad quality 720p@30 video. It has a VGA front camera supporting video call on 3G/HSPA network. Battery is 1500mAh in size and the phone weighs 118 grams. Samsung Bangladesh is selling the phone just for 13,900 taka ($180) which is very good deal considering they are selling original Galaxy S Duos for 16,900 taka ($220) till yesterday. Even other shops selling the phone without warranty for over 15,000 taka. Samsung obviously giving 2 years of warranty with it. At the same time Amazon is selling this dual-SIM phone in US for $185. It will be a great choice if you want to use separate mobile carrier for your data and voice usage in US. This certainly will help you to reduce you monthly mobile bill.